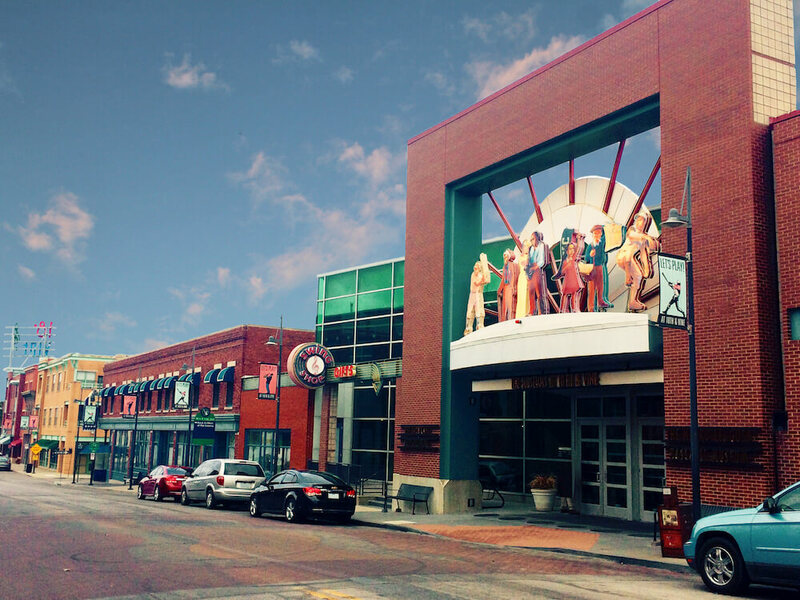 Showcasing sights and sounds of jazz through film and interactive exhibits, the American Jazz Museum in Kansas City, Missouri, is the only museum in the world solely focused on the preservation, advancement and exhibition of jazz music. Horace M. Peterson III Visitor Center, American Jazz Museum, Kansas City, Mo. 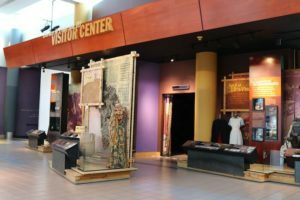 With a variety of interactive experiences, the American Jazz Museum is engaging for groups with different musical backgrounds. Touch-screen interactives, custom mixing boards and listening stations immerse groups in a musical experience. 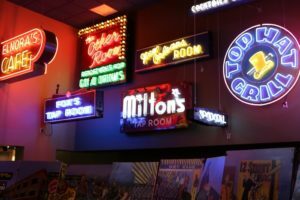 Neon signs, American Jazz Museum, Kansas City, Mo. Among the exhibits are collections of photographs, sheet music and posters. Some artifacts include Charlie Parker’s Grafton saxophone, a sequined gown worn by Ella Fitzgerald and one of Louis Armstrong’s trumpets. Within the American Jazz Museum is the Blue Room — a multifaceted exhibit featuring musicians who crafted “Kansas City jazz,” and a venue for local, international and national jazz musicians to perform. Weekly, groups can join in or take in the sounds of the Blue Monday Jam — a well-known Kansas City jam session. Aside from the Blue Monday Jam, live music is offered four nights a week at the Blue Room. Admission discounts to the museum are offered for groups of 25 or more. For more information, call 816-474-8463 or visit americanjazzmuseum.org.